Do you hate manually cleaning your aquarium? Do you also yearn for a way to monitor your fishy friends when you’re not home? Do you enjoy filling your house with robots that carry out extremely specific tasks? If you said yes to all three of those questions, then the Moai is probably right up your alley. 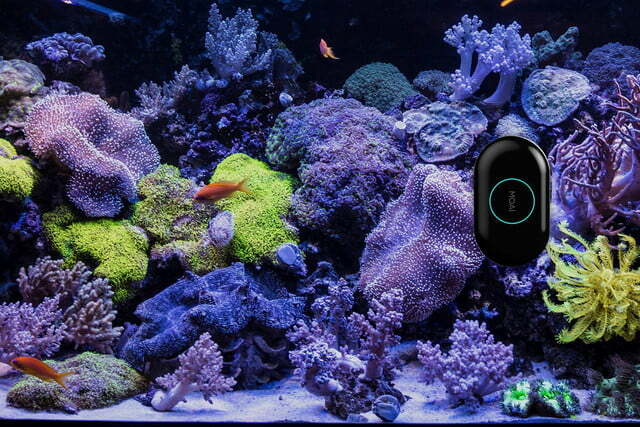 It’s a robot that autonomously roves around your aquarium, cleans the glass, and also streams live video of your fish through the internet, thereby allowing you to check up on them with your mobile device, no matter where you are. The device itself consists of two elements: one housing all the electronics (positioned outside the tank), and a small cleaning element that goes on the inside. These modules are connected by a magnet, so as the outside part moves around the tank, the inside part of your tank glass gets cleaned. The robot itself uses smart ultrasound sensing tech to map its way around the aquarium, while users can use the accompanying iOS or Android mobile app to mark out specific cleaning areas. This also means that you can set specific times for cleaning to take place, such as when you’re out at work — so your aquarium always looks its best when you’re around. If you’re the type of person who can’t keep a plant alive for longer than a couple weeks, this Kickstarter project is for you. 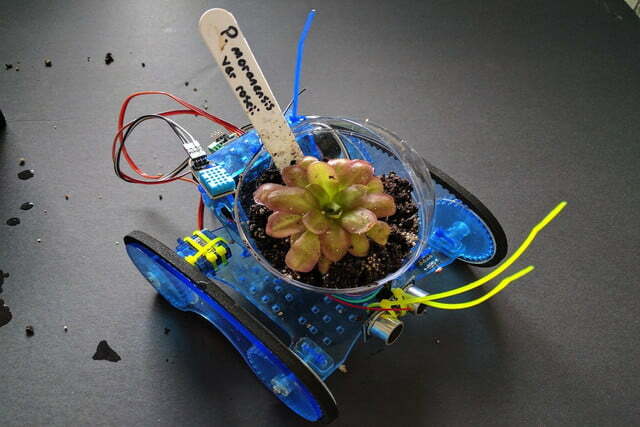 Plantoids, as they’re called, are basically robotic plant pots on wheels. Using an array of sensors, they monitor the vitals of the plant they carry, such as moisture in soil, air temperature, humidity, ambient light, and air quality. If any of these levels get low, the bot will autonomously rove around your house in search of more optimal growing conditions. If it’s not getting enough sunlight, the Plantoid will drive until it senses a higher amount of ambient light, for example. On any given day, there are approximately twelve gazillion LED-oriented crowdfunding projects on Kickstarter and Indiegogo. They usually aren’t particularly remarkable or exciting, but this one is worthy of note. 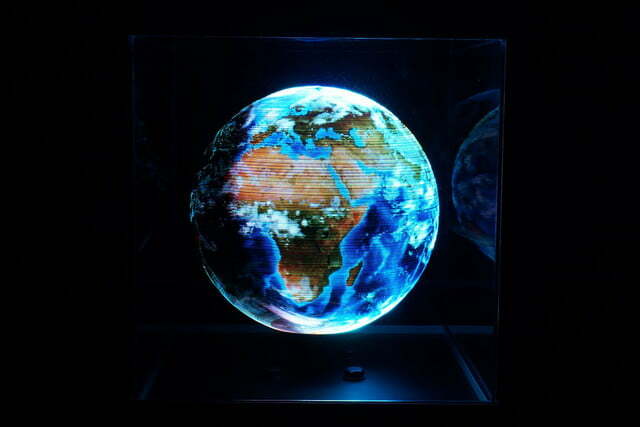 The simply-named Globe, as it’s called, is essentially a set of programmable LEDs that spin extremely fast. When that happens, and the device reaches the correct RPMs, the strobing lights create a mesmerizing effect, generating what looks like a large holographic representation of planet Earth. And that’s not all. It’ll even look good in your living room. “Constructed from oiled wood veneer, toughened glass and powder coated steel, Globe is designed to complement its environment.” The only downside? It costs over 700 bucks. We’ve said it before, and we’ll say it again: humanity is living in the golden age of rideable technology right now. In the past few years, electric motors have become smaller and stronger, and batteries have become smaller and more power dense — two trends that have coalesced and kicked off a renaissance in personal mobility devices. There are almost too many rideables to keep track of anymore, and they seem to get crazier and more advanced with each passing month. Case in point? The newly-unveiled Riptide longboard. 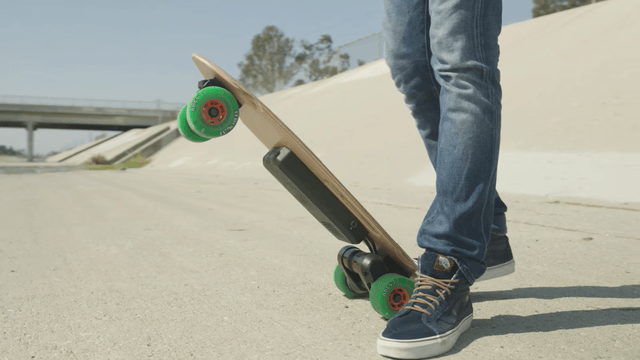 It’s a shining example of how the electric skateboard category is truly starting to diversify, and companies are starting to develop products that fill the gaps left behind by some of the bigger, more established rideables that were first to hit the scene. Riptide, for example, is designed specifically for commuters. With a relatively short deck, a kicktail on the end, and handles cut into the sides; it’s perfect for anyone who needs a “last mile” solution that’s easy to carry onboard a bus or train. Despite the its relatively compact form factor, the Riptide board is still pretty powerful, boasting a top speed of 20 mph, as well as great hill-climbing abilities. Over the past few years, many backpackers have taken to replacing their traditional tents with a hammock, and it’s easy to see why. 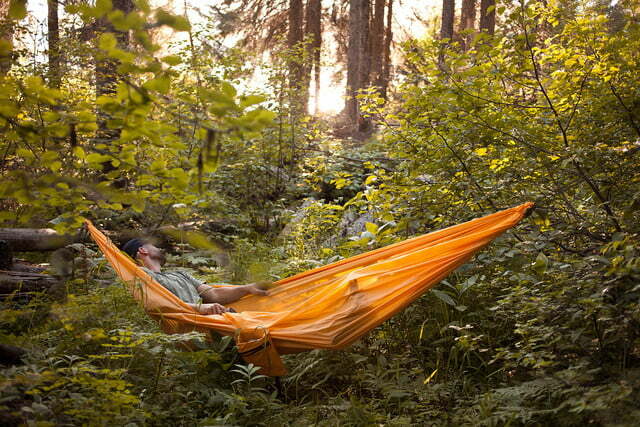 Hammocks are often lighter to carry, faster and less complex to set up, and offer better all-around comfort to boot. Hammocks are not without their drawbacks, however. For starters, they require properly spaced (and sized) trees to be useful, and most can only hold one or two people. Additionally, they tend not to be especially adaptable, and typically only serve one purpose. A company called Treeo is looking to change that with an innovative new a hammock that also functions as a rain tarp and a beach blanket. The key to the Treeo’s design is a clever cinch system. This allows the user to bunch up the ends of the tarp and secure them, effectively transforming the tarp (or blanket) into a hammock. These cinches can be released when not in use, allowing the hammock to return to its blanket/tarp configuration. The other key to Treeo’s design is its durable, waterproof construction. Made from ripstop nylon, not only will it hold your weight in hammock form, it’ll also stop rain as a tarp, and resist punctures when in blanket form. It’s like a Swiss Army Knife made out of fabric.